OnePlus 6 is nearing its launch, and we get to know more and more about the phone one leak at a time. The latest information comes from India, where the pricing of OnePlus A6003 is listed. The phone will have three storage options and versions with 6 GB and 8 GB, with the cheapest one being INR33,999 or about $523/€427. According to the source, OnePlus is also preparing to launch wireless Bullets earplugs but has not yet decided on the price of those. In the meantime, OnePlus posted an official teaser, revealing that the new device will keep its fancy gestures, used for launching different apps when the phone is locked. We’ve already seen these features on OnePlus 5T and OnePlus 5, so it’s not shocking that they will carry over. Finally, and arguably the most exciting, we get to see an image of the notched phone running the AIDA64 app. 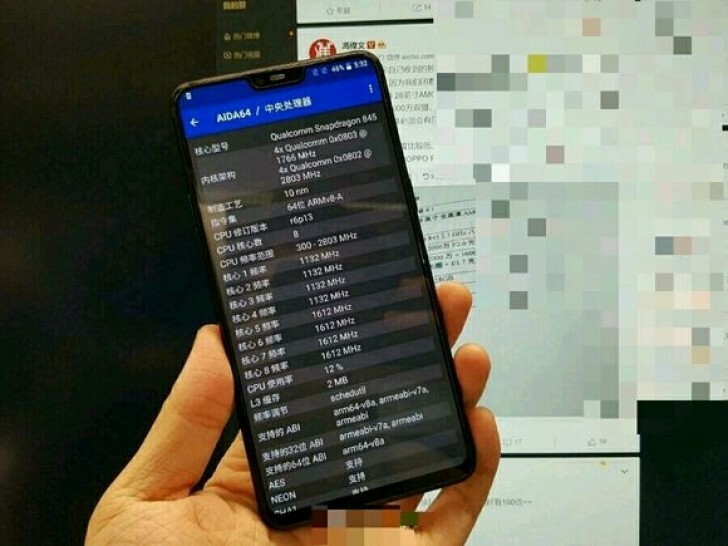 The photo says OnePlus 6 will have Snapdragon 845, built on the 10 nm FinFET processor, but the company already confirmed that three days ago. Other leaked specs include 6 GB RAM, dual 16 MP + 20 MP cameras, and 3,450 mAh battery. OnePlus 6 official teaser confirms the name, says it will have "the speed you need"